Standardized testing in elementary schools appears to be uniformly unpopular among all involved — students, parents, teachers and administrators — than any other single issue in public education today. At the same time the number of standardized tests are administered to younger and younger children, there is growing evidence that test scores are inappropriately used in designing curriculum, fail to measure what their creators claim or simply steal valuable and irreplaceable classroom instruction time. 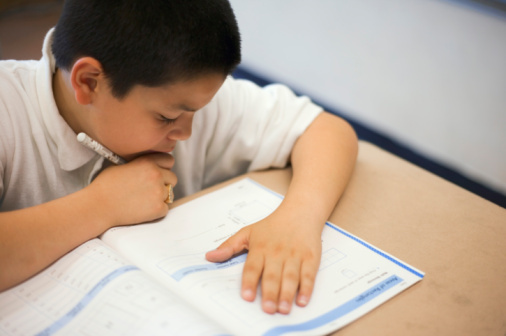 Often referred to as achievement tests, standardized testing has been shown to correlate more closely with the amount of sleep a child obtains the night before than his ability to perform well in school according to the National Center for Fair and Open Testing. Until significant policy and political changes occur, however, standardized testing in elementary schools is here to stay. According to Scholastic.com, there are a number of actions you can take as a parent to enhance your child’s test-taking skills, minimize test-taking anxiety and maximize their ultimate test scores. Speak with your child’s teacher to determine if there are practice tests available or what other materials might approximate the exam. Ensure that your child gets enough sleep the night before testing, feels well and has a healthy breakfast the morning before exams commence. Encourage your child’s reading skills among a variety of sources and discuss what he or she has read to maximize comprehension skills. If you object to the standardized testing in elementary schools, join your school’s Parent-Teacher Association and contact the National Center for Fair and Open Testing for information on opting-out and other actions you can take.